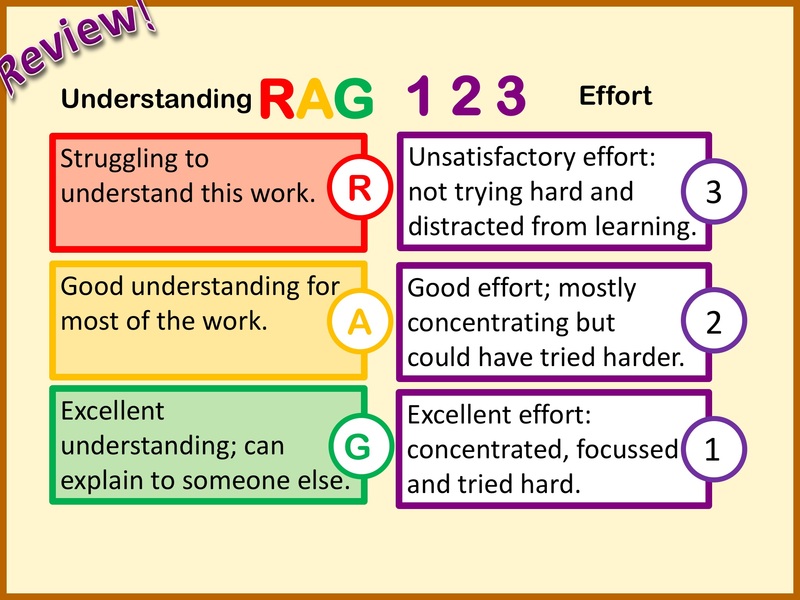 I’ve been using RAG123 for a year now, after reading about @Benneypenyrheol’s RAG123 marking experiment. 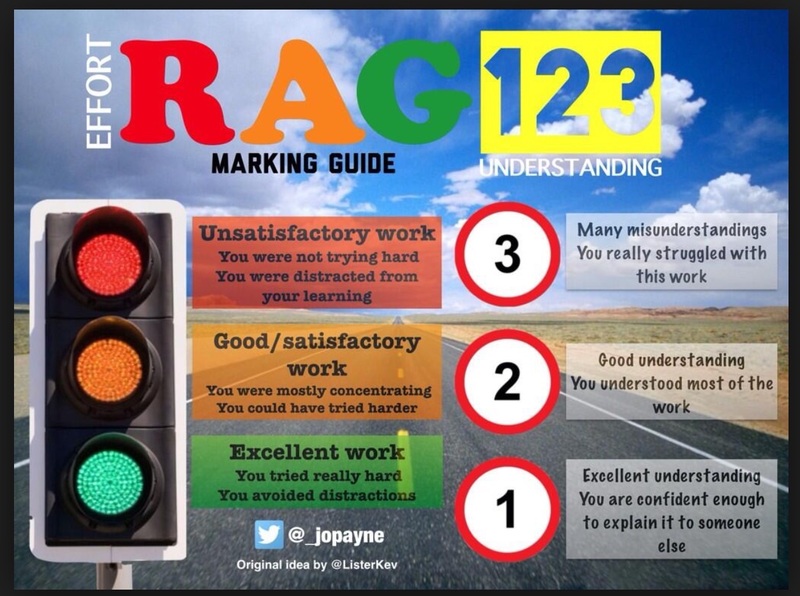 This then led me to @ListerKev, and his selection of posts introducing, explaining and enthusing about the purposes of RAG123. 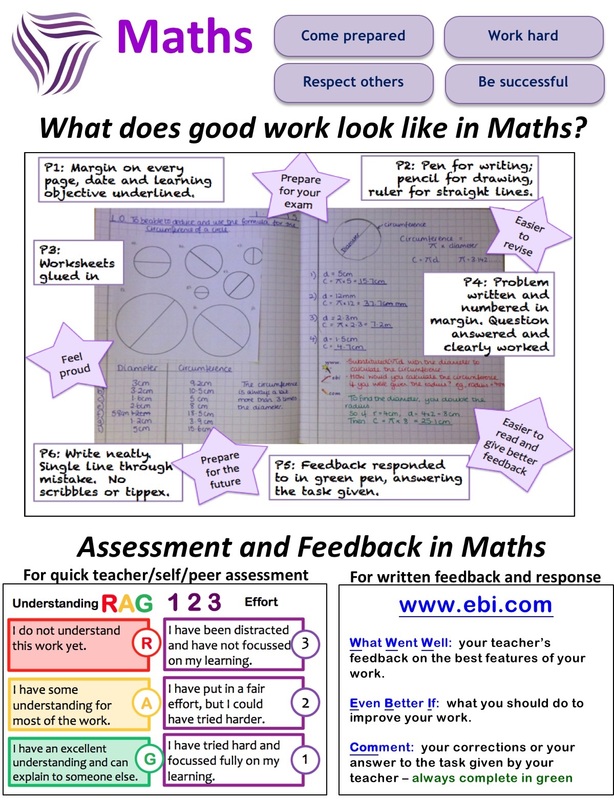 I decided to trial it in the last few weeks of 2013/2014, and was so impressed with the effect it had on informing my planning to support pupils learning, that it was a given that I’d be using it with all my classes. 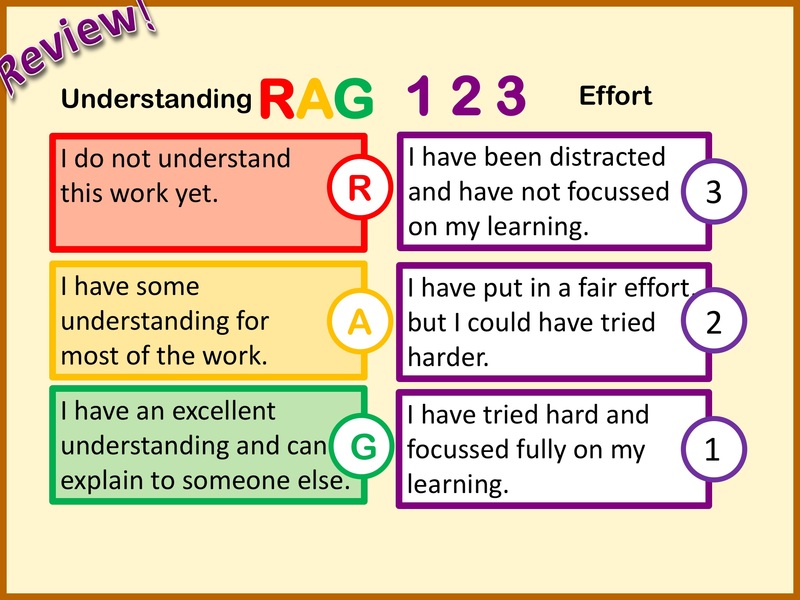 A quick search on google found that there were several RAG123 posters already created, so it became a fairly easy job to adapt the wordings of these to suit my students and classroom. As we’ve previously used RAG for pupils understanding of topics, I kept this the same, and 123 became the effort, which linked in with pupils on our reports too. 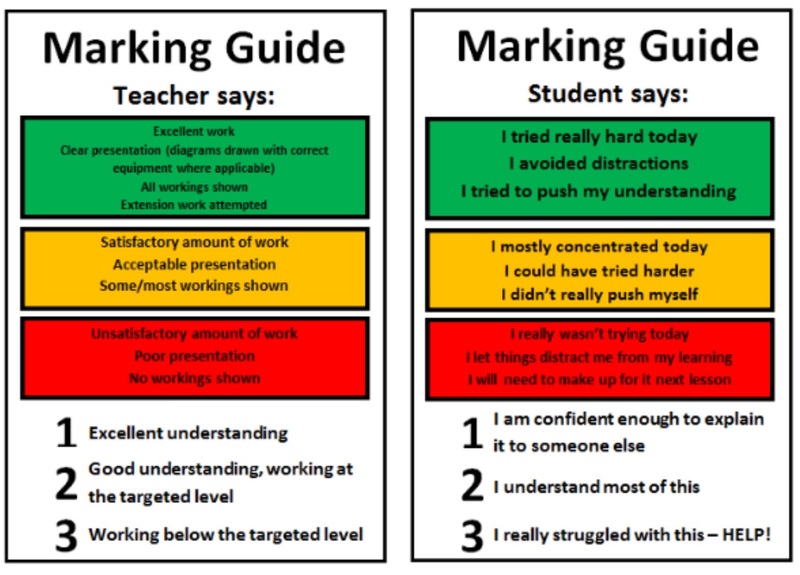 After using this for a year now, I’ve updated the wordings to the first person, as these will now be going on the first page of pupils exercise books, alongside presentation for learning and our written assessment and feedback system.